I don’t like labels since I feel it puts people in a box, but to answer the q, I am plant lover. I get pretty sick if I eat dairy, chicken, beef, etc… doesn’t go well with my digestive system. I also love animals and don’t want to do any harm to them. So the plant-based lifestyle works best for me. 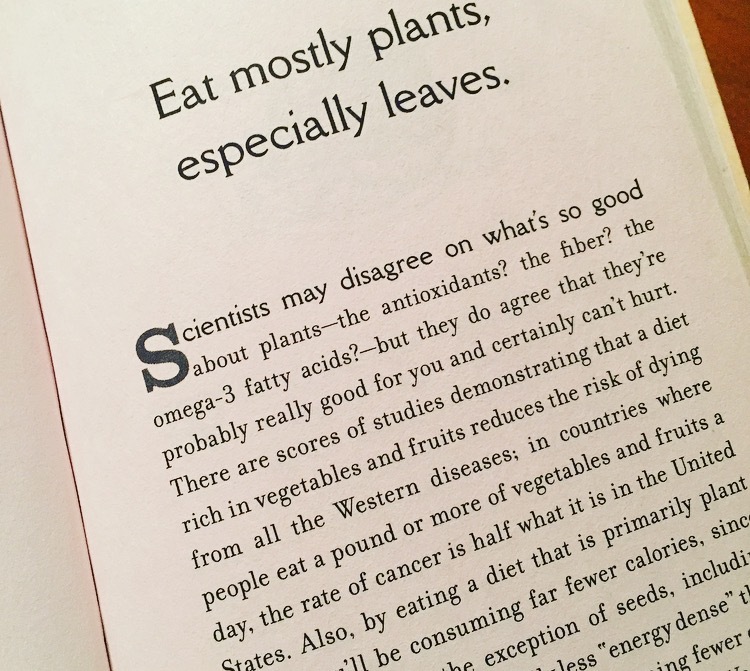 We should all be eating lots of plants. Not only does eating more plants improve our health, it can also help protect the planet and animals. It’s good for us all! Before I go on, I want you to know, that you don’t have to completely give up animal protein. That’s not how I roll. Remember, we are doing things that work for our own individual bodies. BUT I would like you to consider reducing the amount of meat you eat daily. Such as you can incorporate less meaty meals by doing a Meatless Monday or having 3-4 meals containing animal protein a week instead of the typical diet of eggs and bacon for breakfast, chicken salad sandwich for lunch, and then a pot roast for dinner with ice cream for that late night somethin’ somethin’. That’s way too much protein in just one day! And the worst part is, many do this EVERYDAY so over time our systems are taxed. Animal protein is acidic so over time (and this can take awhile but it does happen) our blood cells become inflamed which leads to chronic illness such as diabetes, heart disease, cancer. Therefore pumping the green goodness along with fruits, quinoa, veggies, beans, lentils, nuts and seeds, will help balancing things out on the cellular level. BUT what about getting enough protein? Is eating a kale salad enough to get what we need? Will I starve or wither away just eating that? Can I throw some chicken on it? Protein is essential to our health, and it does a lot more than just help us build muscle. But how much protein do we really need? And can we get it from plants? For example, a 130 lb person would want to aim for roughly 52 g of protein a day. This is just an estimate; remember, think of YOUR body here. It’s actually pretty easy to hit the daily requirement and keep you feeling nourished and satiated. Take in consideration of body size, weight, and how much activity you do. Too much protein is hard on the organs with toxic by-products and hormones with a potential to spike blood sugar. Too little protein can cause dizziness as well as a drop in blood sugar. Before I give you some ideas on what plant-based foods to incorporate in your routine, I want to talk about proteins. A complete protein refers to foods that contain all 9 of the necessary amino acids that your body can’t produce on its own. You only need to consume all of the 9 in your day so you can either do it in one meal or throughout the day. For example, you can eat brown rice at one meal and then black beans at another and get your fill. Keep this in mind as you build your meals and snacks during the day. Just an fyi, animal protein contains all 9. There are plant-based foods that also contain all 9 amino acids (noted below). Lentils provide lots of protein and packed with fiber to keep your heart and belly happy. Add them in chili, soups and eat by themselves. Lentils are cheap, too! You can a package of lentils for about $2.99 a pound. Peas are packed with protein, fiber, essential nutrients like Vitamin K. Throw them into salads or blend into soups. Add hemp seeds to smoothies and top on salads for extra anti-inflammatory omega 3, calcium and iron. Along with protein and healthy fat, pumpkin seeds are great sources of magnesium and zinc which support the heart and nervous system. Veggies have protein, why yes! 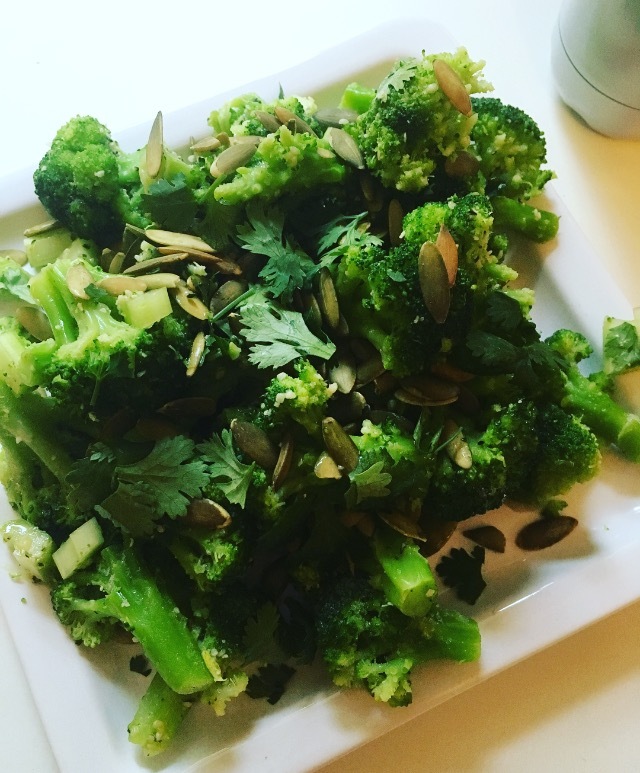 Broccoli is a great source of fiber and can be eaten raw or steamed. You can make a broccoli soup with 2 cups and get 10 grams of protein for your meal. Another hummus ingredient, chickpeas are gluten- free and can be added to just about any dish. I have these babies stocked in my pantry . I make a batch of this psueodo-grain and keep for meals during the week. Throw it in a soup for extra ooomph or add raisins, fresh fruit and coconut milk to make a breakfast treat. Wanna make some plant-based magic? Directions: Grate broccoli in food processor or use whole (I like to do this because I am lazy!). Place in large bowl. Add remaining ingredients and toss together. Make dressing: Whisk together dressing ingredients in a small bowl. Add to salad and toss to combine. Top on spinach. Season with salt and pepper. Serve. Grams of protein in this meal: appr. 24 grams in just one meal! *I didn’t include protein powders because I wanted to discuss foods that actually look like food. I will do a fun protein powder article for you soon, I promise! * I also didn’t add and fake meats and soy because it’s highly controversial. Soy can wreak havoc on hormone levels and most of the crops are genetically modified (loaded with pesticides). What plant-based food are you digging right now? PS. 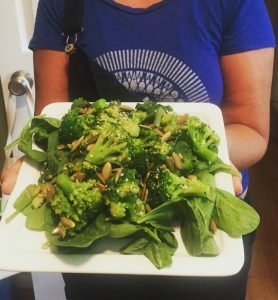 Join Raw Renewal 7 Day Detox and eat plant-based protein for every meal! Protein Crunch is a signature meal of the summer Raw Renewal 7 Day Detox. 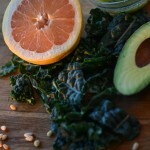 All recipes are plant-based, clean, anti-inflammatory and RAW. No dirty pots and pans! Brand NEW menu plus my coaching included in your program! Animal protein isn’t the only acidic thing to think about. Caffeine, sugar, processed low-fat stuff, gluten, and dairy also cause inflammation. If you’re not signed up yet and are looking for a fresh start, take a look at my popular detox program (a.k.a. 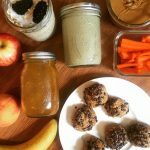 the “I can eat!” cleanse) and join us for the LIVE group on July 23rd. 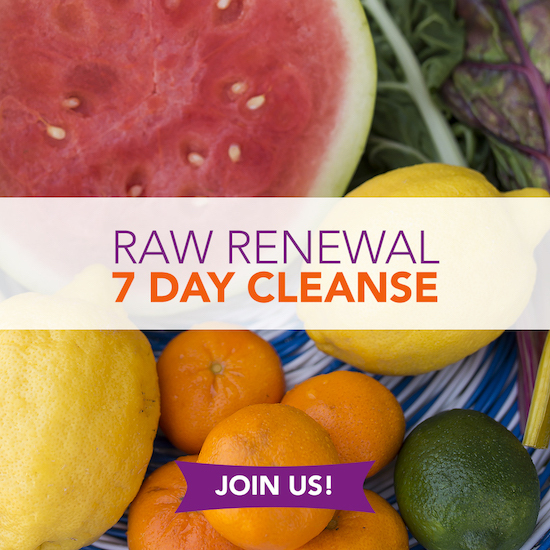 You’ll be feeling energized, clear, light (especially in the tummy), and all-around healthy and clean with Raw Renewal! I’ve been leading this detox program now for over 5 years and the response is amazing! AND you’ll get tons of protein in your meals, too!